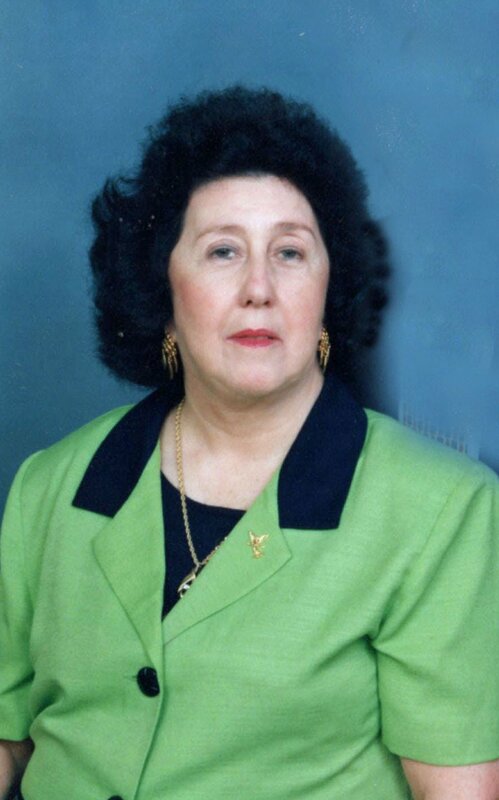 ZEBULON – Charlotte Brantley Strickland, 82, went home to be with the Lord on Tuesday. She was born in Nash County to the late Joseph Lloyd & Florence Alford Brantley. She had many passions, flowers, making wedding cakes for friends & family, & had a particular place in her heart for children. She was preceded in death by a son, Larry Todd Strickland. She is survived by her best friend & husband of 62 years, John Larry Strickland, daughters, Linda Matthews of Zebulon, Jeannie Arena (Paul) of East Windsor, NJ, brother Jimmy Lloyd Brantley of Zebulon, grandchildren, Katie Arena, Kristina Williams(Tyler), Courtney Williams, great grandchildren Hayden & Cohen. Funeral service 4 pm, Thursday, Strickland Funeral Home Chapel, 211 W. Third St., Wendell with visitation from 2:30 – 4 pm, prior to the service. Burial, Murray Cemetery, Hwy 97, W.
To Larry and family, you are in my thoughts and prayers during this time of sadness. May you find comfort and peace through your faith in the Lord Jesus Christ. He promised never to leave you nor forsake you, even in times like these. Charlotte was a very fine Christian lady who helped many people along the way, including me. I know she will be missed by all of the people whose lives she touched, nurtured, and guided. I am thankful for her and her family in so may ways. Mrs. Charlotte was a wonderful lady and it was a great honor to be her pastor for eight years. When Katie was a toddler she would sometimes keep her for us to go out. She was a gentle and faithful wife, mother, and friend. She is now rejoicing with the angels in heaven in the presence of her Lord and Savior. May God bless all of her family during these days. She will be missed. Our prayers go out to you all. Please accept our deepest sympathies in the loss of Charlotte. I have fond memories of her and our “family”, Crafton, Joann, Ms. Creech, Ms. Davis, Earl and Melvin there at the funeral home in Zebulon. So many memories and especially lunch and always having to peel those tomatoes for our tomato sandwiches. Sorry we can not be there today. You all are in our thoughts and prayers. So sorry to read of your dear wife and her homegoing. We know she is rejoicing in heaven among family and friends. Congratulations on your milestone anniversary of 62 years also. You have been richly blessed. May you continue in good health!